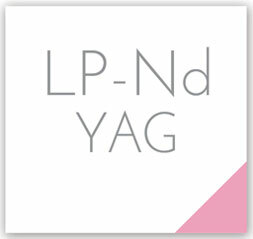 The advantage of the LP Nd:YAG 1064 laser is that it delivers a long pulse that can penetrate 5 mm – 10 mm deep into the dermis, depths which shorter wavelengths cannot reach. Additionally, the laser heats the target area more uniformly than the shorter wavelengths, with higher absorption coefficients. During treatment, the laser causes selective photothermolysis of the target tissue, without damaging neighboring tissue. The laser is ideal for treatment of leg veins and other deep vascular lesions and is also used for more superficial lesions such as Rosacea.